2017 has been pretty amazing so far for the African geekdom, especially where comic books are concerned. From NAICCON (Kenya), Lagos Comic Con (Nigeria), Comexposed (Zimbabwe) and the just concluded NerdCon (Ghana), these events are helping geeks find new spaces to thrive in as fans and/or creators. As creators and/or fans of African comics, however, there is barely any representation from Ghana. Thankfully, Pa Gya! A Literary Festival in Accra is about to change that and you are cordially invited. The festival kicks off at the Goethe-Institut in Accra (directions at end of post) from Friday, October 19 to Sunday, October 21. The 3-day festival, organized by the Writers Project of Ghana and the Goethe-Institut Ghana has included comics as part of the festival and will feature a panel discussion on Comic Books As Part of Ghanaian Literary Arts as well as a showcase of Ghanaian (yes, they exist) and African comics. The panel will feature animator and illustrator Comfort Arthur (Black Barbie, Social Media Zombies), Setor Fiadzigbey (Lake of Tears, Kezi and Mozi), satirical illustrator Bright Ackwerh and Kwaku Tabiri (game developer and comic book aficionado) from Leti Arts. The panel will be moderated by Squid Mag co-founder Sydney Kofi Asare. As part of the comic setup, Squid Mag and Leti Arts will have booths where you can check out print and digital comics from the continent. The Leti Arts booth will showcase the company’s revamped African Legends game and comic presently in development plus all the cool things the company is doing to tell more inclusive African stories. 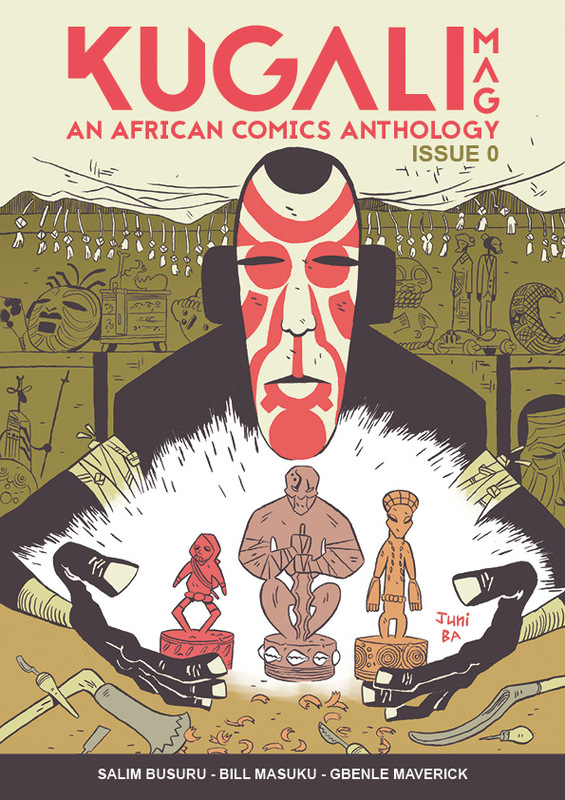 The Squid Mag both will showcase comics from Ghana, Nigeria, South Africa, Kenya, Zimbabwe and Uganda. You can also purchase print copies of Kugali’s first anthology, as well as 1 limited copy of Peda Comic’s Newborn Saga at this booth. 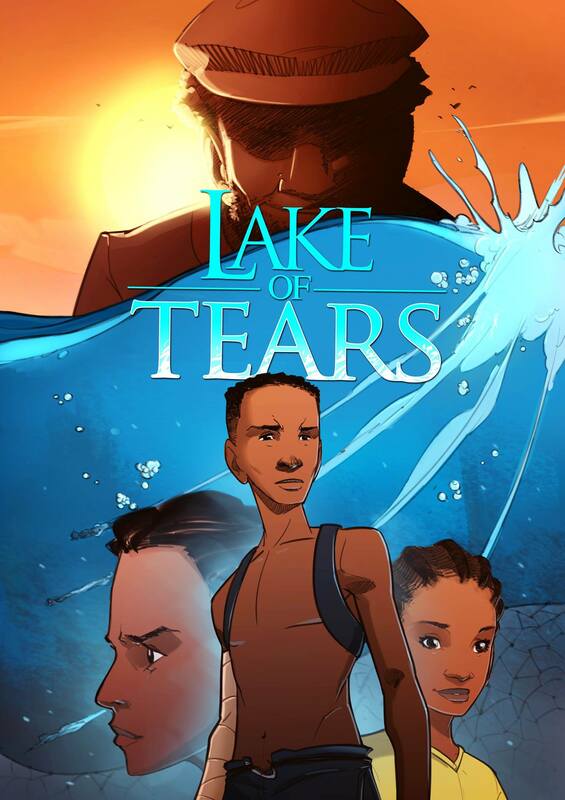 The booth will also feature an exclusive sneak peek into Lake of Tears, an upcoming graphic novel by Setor Fiadzigbey that explores child trafficking and child labour on the Volta Lake in Ghana. The comic panel and the comic setup is facilitated by Squid Mag with tremendous support from the organizers. Fellow comic book lovers, bookworms, nerds and fantastic human beings, come out in your awesomeness and support Pa Gya! A Literary Festival in Accra. PS: From the release of two anthologies (Kugali’s first and Comexposed’s second ComicUp); Peda Comic’s and YouNeek Studio’s successful Kickstarters; the pilot adaptation of Kwezi into animation; Al Jazeera’s spotlight on African creators and several new releases, the year has been busy and we love it. Can’t wait to see how we close out the year.